Where Have All The Leads Gone? I know, I know, your BDC/Internet manager says “I need more leads.” And there are so many lead choices, that you don’t know which ones are the best ROI. The fact is you don’t need more vendors or leads; you need to create better ADS, place them in more relevant places and target better audiences. The other cold, hard truth is a true digital business’s lead comes from a variety of channels and an actual form submission is the least likely. It makes sense. There is so much information for the consumer online without having to submit a lead form, why would they subject themselves to being harassed by a salesperson. The last action a consumer should take is to print the business’s address (to plug into their GPS) and CALL to make sure the product they saw online is still available. Therefore, all your campaigns should include dynamic tracking numbers and optimized for mobile click to call conversions. All photos should have a overlay with tracking phone numbers. All digital video assets should contain the business URL and a tracking phone number. Are you getting the hint? All digital marketing efforts should be created to inspire a phone call and have a human sell the car. 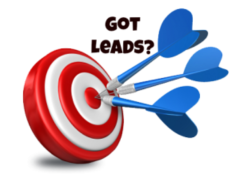 There are three main components to INCREASE your leads and closing ratios. Improving your lead referral sources, landing pages and contact forms will not only help increase engagement but will make for more efficient spend of marketing dollars. 2. Create bold, unique and relevant messages. Many times we push messages that we think consumers want to hear/see. By studying behavior, and delivering the right messages to the right consumer at the right time, you will be able to increase consumer interaction and conversions. 3. Measure the impact of your marketing efforts. Creating good accountability of your people, processes and programs will help to optimize your success. If you receive the same amount of leads you did from the prior month, but increase your closing ratio by 10%, you’ve increased sales.